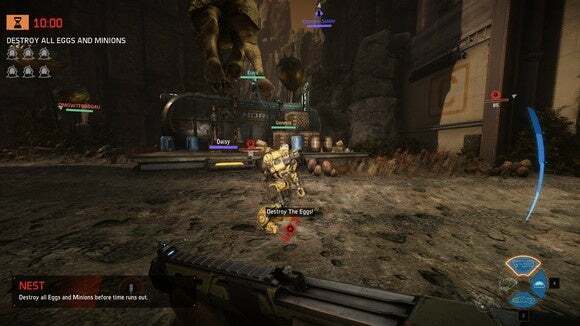 Evolve has come under a lot of fire in recent weeks for its DLC plans, and it poured fuel on the flames during its Tuesday launch. If you've missed most of the controversy and our review-in-progress of the 4v1 multiplayer game from Turtle Rock Studios, here are the details: Maps are free to all so as to avoid segregating or divvying up players. However, new characters will be sold—monsters for $15 a pop, hunters for $7.50. The DLC and preorder packages were so convoluted and numerous that people created spreadsheet guides to try and help you wrap your head around all the premium add-ons. That's a heck of a lot of money. It'll be hard to coerce players into spending that much on new characters without providing some sort of advantage over the current roster, potentially imbalancing the game. For most games, the weeks leading up to launch are the pinnacle of hype—a nice gentle coast into release. Evolve, on the other hand, has been fighting negative PR for weeks. As I said in my review, you almost can't bring up Evolve without a debate erupting about its DLC plans at this point. You'd think with that much anger brewing, Turtle Rock and 2K might want to ease into the launch. Maybe slow down the DLC rollout until things have calmed a bit, players have bought the game, they're having fun, and they're recommending it to friends. Keep in mind, this is on release day. $136 in DLC. On top of a $60 purchase for the game itself. Now, this isn't really juicy DLC. The new monsters and hunters will come later. The items on the store right now are cosmetic in nature—weapon and monster skins and the like. Stuff like the "Wendigo Monster Skin Pack." In other words, it's doubtful you'd have any reason to buy all $136 worth of content. Nevertheless, this seems like a spectacularly tone-deaf move. When you already have people up in arms about DLC for your game, why antagonize the situation further by pulling a move like this on release day? This is the day you need to sell your game. And I hate to be the guy that goes all "Back in the good ol' days!" on you, waving my cane in the air, but this stuff used to be expected. I remember putting cheats into Grand Theft Auto: San Andreas to unlock skins, for instance. Hell, I don't even like Destiny and I'll still give it credit for how much customization there is on the multiplayer side. 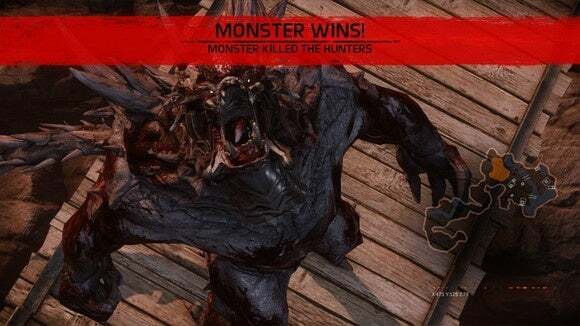 I don't think I'm exaggerating when I say Evolve's shaping up to be a DLC PR disaster along the lines of Bethesda's horse armor—something we're still bringing up almost a decade later as an example of what never to do. Editor's note: This article has been updated to remove a bullet-point from the list that was added by an editor.